Foursquare aims to encourage people to explore their neighborhoods and then reward people for doing so. We do this by combining our friend-finder and social city guide elements with game mechanics — our users earn points, win Mayorships and unlock badges for trying new places and revisiting old favorites. As a business owner, you can use foursquare to engage your increasingly mobile customers with foursquare “Specials,” which are discounts and prizes you can offer your loyal customers when they check in on foursquare at your venue. Don’t forget to show extra love to your venue’s Mayor! Additionally, if you offer foursquare Specials to your customers, you will be able to track how your venue is performing over time thanks to our robust set of venue analytics — for free! We’ve built simple self-service tools to allow you, the business manager, to create different kinds of foursquare Specials, manage multiple Specials and ultimately track how these Specials perform. 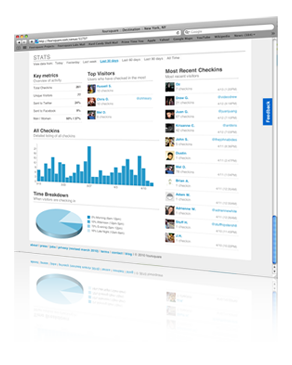 We think these services will empower you to develop more engaging ongoing relationships with your customers. You’ll be surprised how effective a little friendly competition — over the Mayorship, over free fries! — is at driving customers back to your venue. Check-in Specials: unlocked when a user checks in to your venue a certain number of times. Frequency-based Specials: are unlocked every X check-ins. Wildcard Specials: always unlocked, but your staff has to verify some extra conditions before awarding the Special. We’ve seen venues promote their involvement with foursquare via Twitter, signs at cash registers and sidewalk blackboards. Go for it, and be creative! 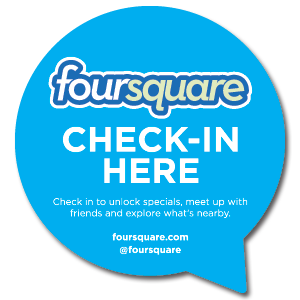 Also, we can help you market your Special to your customers by sending you official foursquare window clings. Once you claim your venue, you’ll be able to add your mailing info to the list, and we’ll send some clings to you as soon as we can! 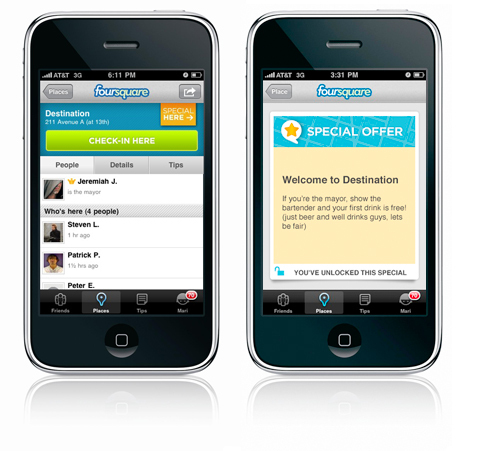 We’ve woven the Specials platform tightly into all of our official foursquare mobile clients (iPhone, Android and Blackberry) and we actively call attention to venues that offer Specials for foursquares users. For example, if a foursquare user is at your bar/restaurant, we’ll tell them what they have to do to unlock a free snack or discounted drink. If they happen to be across the street or two blocks away from your venue, we’ll let them know that your business gives special treatment to foursquare users and that they should swing by for a visit. Why Blogging IS Vital to Your Business!